1.1 Informa9on on how to enter forms part of the terms of entry. the Channel Seven signal is received. 2.2 Employees and their immediate families of Seven Network (Opera9ons) Limited, Shangri-La Hotels, Vomo Island, Fiji and their associated agencies, sponsors and companies are not eligible to enter. The compe99on commences on Monday 9 April 2018 at 7.00am AEST and concludes on Monday 30 April 2018 at 12.00pm AEST. In order to enter the compe99on, viewers must watch Sunrise (“the Program”) on the Seven Network between Monday 9 April 2018 and Monday 23 April 2018 (inclusive) where Sunrise will promote the Compe99on on selected days during the Compe99on Period. submit an entry via email to HYPERLINK “mailto:sunrisewedding@seven.com.au” sunrisewedding@seven.com.au between Monday 9 April 2018 at 7.00am AEST and Monday 23 April 2018 at 12.00pm AEST, complete the entry form, and press submit. The entry must include entrants name, address, state, postcode and day9me contact telephone number (including STD area code), video adachment which answers the compe99on ques9on together with a recent photo of the bride and groom. Entries must be received Monday 23 April 2018 at 12.00pm AEST. Entries are limited to one entry per person. free from any claims, including copyright or trademark claims, by other par9es. Entry details remain the property of the Promoters and will not be returned to the entrant. The winners agree to grant the Promoters a perpetual and non-exclusive licence to use their entries in all media worldwide and the winners will not be en9tled to any fee for such use. Entries will not be accepted via phone, SMS, fax or mail. Eighteen (18) return economy airfares from Fiji on Sunday 3 June 2018, returning Sunday 10 June 2018 for the for the guests of the bride and groom (inclusive of airfare related taxes, charges and a maximum of 20kg luggage allowance for each traveller) (see clauses 4.15 – 4.27) – value AUD$18,000. 7 x nights’ twin share accommoda9on at the Shangri-La Hotel (9 rooms in total), Fiji for 18 guests of the Bride and Groom (see clause 4.2 – 4.5)- value FJ$40,838. Hair and make-up for bridesmaids up to the value of FJ$2,200; Chidren’s choir – value FJ$750. Flowers for venue decora9on – value FJ$2,500. Breakfast daily for Bride and Groom and bridal party at Shangri-La Hotel Fiji (based on total 20 people twin share accommoda9on) – value FJ$5,880. Return airport/hotel in Fiji transfers for Bride and Groom and bridal party – value FJ$550 Hens and Bucks party experience with transfers to and from Shangri-La Hotel – value FJ$4,500 Bridal giq – value FJ$250. 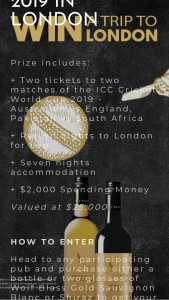 Special honeymoon bonus offer – a bodle of Chandon on arrival, two sarongs, a roman9c twilight dinner for two on the beach on one evening + surprise roman9c turn down (room decora9ons) for the couple & luxurious bubble bath. 4.2 Wedding accommoda9on for the Bride and Groom is based on 6 nights at the Shangri-La Hotel Fiji IN: 3 June 2018 and OUT: 9 June 2018. 4.3 Wedding accommoda9on for guests of the Bride and Groom is based on 7 nights at the Shangri- La Hotel Fiji IN: 3 June 2018 and OUT: 10 June 2018. 4.4 Accommoda9on prizes are not transferable, available for sale or redeemable for cash. Prize must be redeemed within the validity period or prize will be forfeited. If the prize is transferred it will be forfeited. Any addi9onal incidental charges such as meals (other than those specified), mini- bar, laundry, room service, telephone calls, etc., charged to your room are at your expense and should be sedled prior to departure. 4.5 A credit card imprint or cash deposit may be required from the winners and guests at check-in to the hotel, for all incidental charges. 4.6 Extra guest rate is available based on a 6-night stay at the Shangri-La Hotel Fiji which includes accommoda9on with daily breakfast, transfers to and from the chapel, wedding par9cipa9on and recep9on at a rate of FJ$4,853 based on single occupancy and Fj$$5,078 based on double occupancy. 4.8 The wedding ceremony and recep9on prize is provided by the Shangri-La Hotel Fiji on Friday 8 June 2018 for the bride and groom and up to 18 guests. Any addi9onal products, services and op9ons requested by you that are not included in the prize, will be individually quoted upon request, and all costs incurred in the supply of those addi9onal products, services and op9ons will be payable by you. 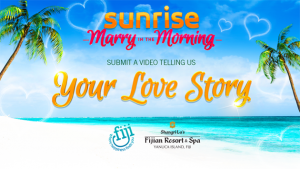 4.9 The ceremony loca9on will be chosen by the Sunrise produc9on team in coordina9on with the Shangri-La Hotel Fiji at their total discre9on. Final decision regarding all decora9on, theming, set up, loca9ons and visual items is at the sole discre9on of the Sunrise produc9on team. 4.10 The wedding ceremony will be broadcast live on Sunrise during their outside broadcast Friday 8 June 2018. 4.11 The Shangri-La Hotel Fiji reserves the right to supply an alterna9ve product or service in place of a prize inclusion should that prize inclusion be cancelled or changed due to unforeseen circumstances or foreseeable factors such as weather, 9ming changes etc. You understand that the Shangri-La Hotel Fiji may pass your personal informa9on onto other suppliers associated with the planning of your wedding, and that from 9me to 9me, however only where necessary, these suppliers may contact you directly for more informa9on regarding your requirements. You understand that the prize does not guarantee the availability of other products and services you may require which are not included in the prize, however where possible, we will ensure your preferred op9ons can be supplied as part of your wedding, at the relevant addi9onal price. All prize inclusions are not transferrable, subject to availability, and not redeemable for cash. 4.12 As a condi9on of accep9ng the photography & video package, you understand that the Shangri-La Hotel Fiji may u9lise the photographs and video footage taken at your wedding, ceremony and recep9on within the context of but not limited to promo9onal, display, compe99on and adver9sing material. eg. website, newspaper or magazine features and adverts and professional photography and video compe99ons. You understand that thhe Shangri-La Hotel Fiji may need to provide your contact details to publica9ons who may wish to contact you to gather informa9on for a story or editorial to accompany your images. You understand that you agree to your photos and video footage being displayed on our online gallery and Facebook for family and friends to view soon aqer the wedding. 4.13 The wedding recep9on will be held on Friday 8 June 2018 for the bride and groom and up to 18 guests. 4.14 The recep9on loca9on will be chosen by the Sunrise produc9on team, the Shangri-La Hotel Fiji and is at their total discre9on. Final decision regarding all decora9on, theming, set up, loca9ons and visual items is at the sole discre9on of the Shangri-La Hotel Fiji and the Sunrise produc9on team. Further terms and condi9ons apply and are available on request. 4.15 If the prize winner, companion or guests are from a regional area, travel arrangements to and from the nearest capital city airport do not form part of the prize and are the responsibility of the winner. 4.16 The prize is not transferable and cannot be redeemed for cash or other goods or services and cannot be taken in parts. Air 9ckets will not be exchanged for another des9na9on. 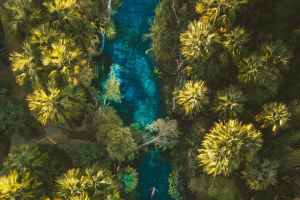 4.17 Flights offered as part of the prize in Clause 4.1 must be redeemed to coincide with the wedding in Fiji, and cannot be used at any other 9me in the future. 4.18 The prize winner and their nominated travel companion(s) must travel together on all flights. Seats will not be exchanged for another des9na9on. 4.19 All flights are subject to booking and flight availability and must be taken to coincide with the specified dates. 4.21 Prize travel is subject to availability at the 9me of booking. Winners and their companions must travel together on all prize travel and will not accrue Qantas Frequent Flyer points on the prize travel or accommoda9on. An upgrade cannot be purchased on airfares with cash or Qantas Frequent Flyer points. 4.22 Each prize must be taken as stated and no compensa9on will be payable if a winner is unable to use the prize as stated. Prizes are not exchangeable or redeemable for cash or other goods or services. A prize cannot be transferred to any other person, unless agreed to by the Promoter. There can be no changes made to travel arrangements. The prize must be used as stated, otherwise it will be forfeited. 4.23 Aqer 9ckets have been booked and confirmed, any travel varia9ons are subject to approval by Jetstar Airways Pty Ltd (Jetstar). 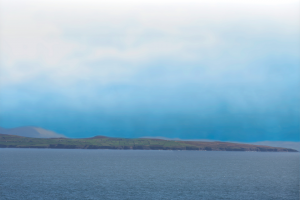 Any addi9onal costs incurred due to travel varia9ons are the winner’s responsibility and must be booked separately by the winner. Travel varia9ons include, but are not limited to extension of travel dura9on, travellers’ outside of the age restric9on and addi9onal travellers. (b) date of birth of all travellers. 4.25 It is a condi9on of entry that the prize winner accepts all condi9ons of use of the prize. 4.26 The Promoter accepts no responsibility for any varia9on in the value of the prizes. 4.28 All prize elements are subject to availability. Prize must be redeemed to coincide with the Sunrise wedding which will take place on Friday 8 June 2018 or the prize will be forfeited. If the prize is transferred it will be forfeited. No cash credit will be issued for any unused por9on of a prize. The Shangri-La Hotel Fiji and its associated agencies and companies shall not be liable for any loss or damage suffered (including but not limited to indirect or consequen9al loss), or for personal injury suffered or sustained, as a result of accep9ng any prize, except for any liability which cannot be excluded by law. We always recommend purchasing travel insurance. Further terms and condi9ons apply and are available on request. 4.29 The winners are responsible for all other expenses including wedding related expenses (unless specified) spending money, vaccina9ons, in-room charges, taxes, meals (unless specified), drinks, transfers (unless specified), laundry charges, ac9vi9es (unless specified), incidentals, gratui9es, services charges, items of a personal nature, passports, visas, travel insurance and all other ancillary costs. rate. The Promoter accepts no responsibility for change in prize value between now and the ul9mate date on which the prize is taken. 4.31 Prize value is quoted as a maximum value in $AUD based on currency exchange rates as at 8/4/18. There will be no credit given between the actual cost of fulfilling the prize elements and the maximum values quotes in clause 4.1. 4.32 If any prize (or part of any prize) is unavailable, the Promoter, in its discre9on, reserves the right to subs9tute the prize (or that part of the prize) with a prize to the equal value and/or specifica9on, subject to any wriden direc9ons from a regulatory authority. 4.33 If the prize is forfeited no cash credit will be issued for any unused op9on of a prize. 4.34 Prizes are subject to the standard terms and condi9ons of individual prize and service providers. 4.35 In par9cipa9ng in the prizes, the winners agree to par9cipate and co-operate with the Promoter and the Sponsor as required in all editorial and promo9onal ac9vi9es rela9ng to the Compe99on, including but not limited to being interviewed and photographed. The winners agree to grant to the Promoter a perpetual and exclusive licence to use such footage and photographs in all media worldwide and the winners will not be en9tled to any fee for such use. 4.36 The winners agree they will not sell or otherwise provide their story and/or photographs to any media or other organisa9on. 4.37 Prizes cannot be redeemed for cash. Winners should seek independent financial advice about any tax implica9ons that may arise from the prize winnings. 4.38 Full details of prizes can be obtained by telephoning Seven on Seven Sydney: (02) 8777 7777; Melbourne (03) 9697 7777; Adelaide (08) 8342 7777; Brisbane (07) 3369 7777; Perth (08) 9344 0777. There will be five (5) shortlisted entries judged by a panel of representa9ves appointed by the Promoter to be the most crea9ve and/or original from the na9onal pool received. All entries will be judged at on Monday 23 April 2018 at Sunrise office at 52 Mar9n Place, Sydney, NSW 2000. The compe99on is a game of skill and chance plays no part in determining the winner. All shortlisted entrants must be available for an interview to validate their entry and confirm their availability to receive the prize in full on Saturday 28 April, Sunday 29 April or Monday 30 April 2018. One (1) winner will be determined and no9fied of their prize no later than Wednesday 2 May. 5.4 The judges’ decision is final and the Promoter will not enter into correspondence regarding the result. 5.5 Incomprehensible and illegible or entries without a valid URL link will be deemed invalid. 5.6 It is a condi9on of accep9ng the prize that the winners must comply with all the condi9ons of use of the prize and prize supplier’s requirements. 5.7 It is a condi9on of accep9ng the prize that the winners may be required to sign a legal release in a form determined by the Promoter and the Sponsor, as the case may be, in their absolute discre9on. absolute discre9on cancel, modify or suspend the compe99on. 6.2 Seven Network (Opera9ons) Limited, the Sponsors and its franchisees and their associated agencies and companies will take no responsibility for prizes damaged or lost in transit, or late, lost or misdirected mail. 6.4 The Promoter reserves the right to reasonably amend or vary these terms and condi9ons at its sole discre9on, orally or in wri9ng, for the purpose of Seven’s programming, scheduling or produc9on requirements. 6.5 The Promoter reserves the right in its sole discre9on to disqualify any individual who the Promoter has reason to believe has breached any of these condi9ons, or engaged in any unlawful or other improper misconduct calculated to jeopardise the fair and proper conduct of the promo9on. The Promoter’s legal rights to recover damages or other compensa9on from such an offender are reserved. 6.6 Seven Network (Opera9ons) Limited and the Sponsor assume no responsibility for any error, omission, interrup9on, dele9on, defect, delay in opera9on or transmission, communica9ons line failure, theq or destruc9on or unauthorized access to, or altera9on of, entries, and reserves the right to take any ac9on that may be available. any injury, loss, illness, li9ga9on or damage that may occur from par9cipa9on in the promo9on or acceptance, possession, use or misuse of prizes. In the event that any dispute arises regarding the meaning or interpreta9on of these official rules, par9cipants agree that the dispute shall be resolved by applying the laws of Australia and that it shall be resolved by and within the courts of that country. 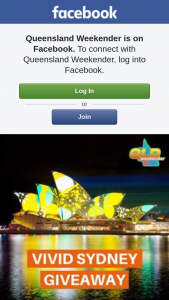 7.1 The Promoter is Seven Network (Opera9ons) Limited (ABN 65 052 845 262) of Level 2, 38-42 Pirrama Road, Pyrmont, NSW 2009. 7.2 The Sponsor is Shangri-La Hotel, Fiji and Vomo Island, Fiji. 7.3 Seven Network Limited (ABN 65 052 845 262) and its related en99es (“Seven”), is collec9ng the entrant’s personal informa9on for the purpose of conduc9ng and promo9ng this compe99on (including but not limited to determining and no9fying winners). The entrant’s personal informa9on may be disclosed to Jetstar Airways Limited, Shangri-La Hotel, Fiji, Vomo Island, Fiji and associated companies (for the purpose of booking travel and co-ordina9ng all aspects of the wedding in Hawaii). The entrant may request access to his or her personal informa9on by wri9ng to Privacy Officer, c/- Legal Department, Seven Network Limited, PO Box 777, Pyrmont, NSW, 2009.